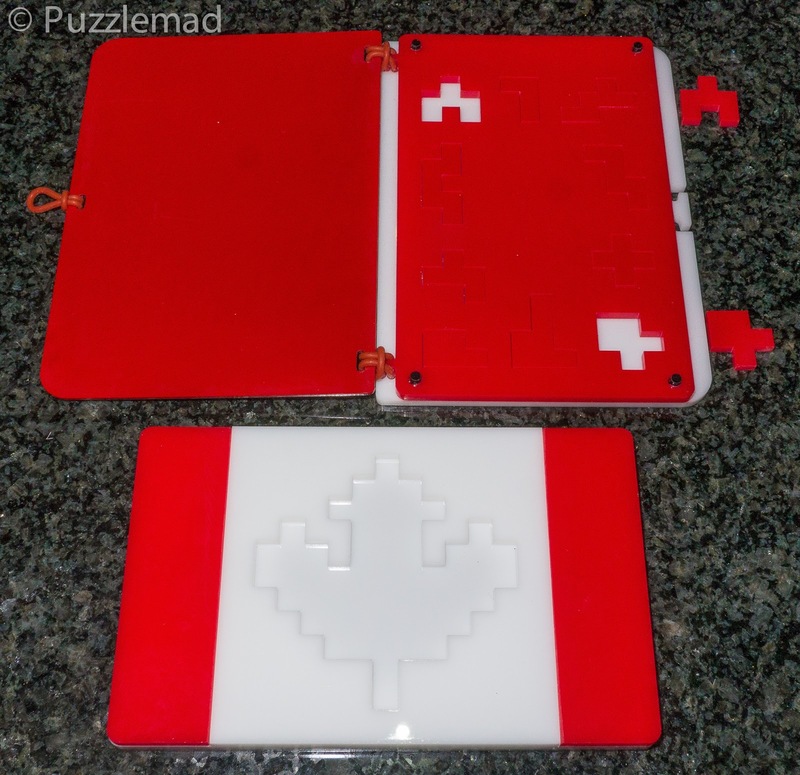 At the recent MPP I picked up some extra toys - The Vapors puzzle was designed by Derek Bosch (he's the genius!) 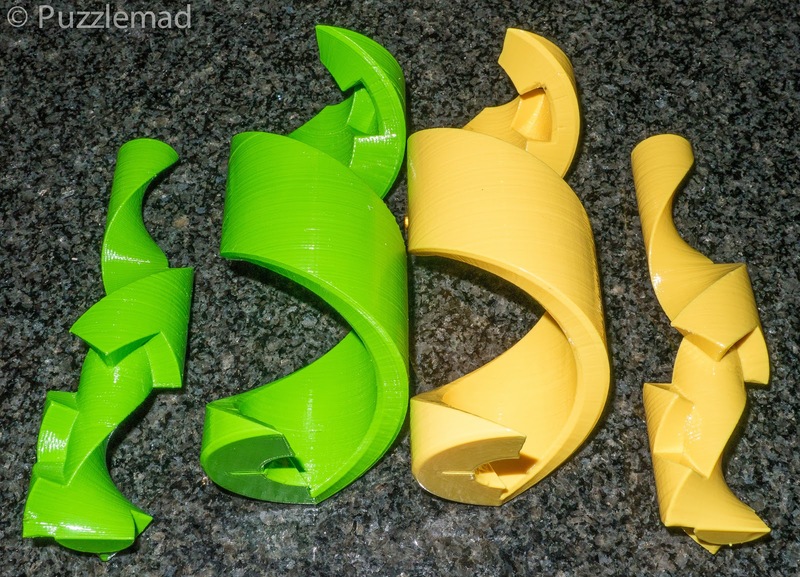 and exchanged (and printed) by Big Steve - it's another puzzle in their helical collaboration and as an unusual 3 piece version, I would say an essential for my collection. After all I do have the rest of the set (even if I haven't managed to solve them all). 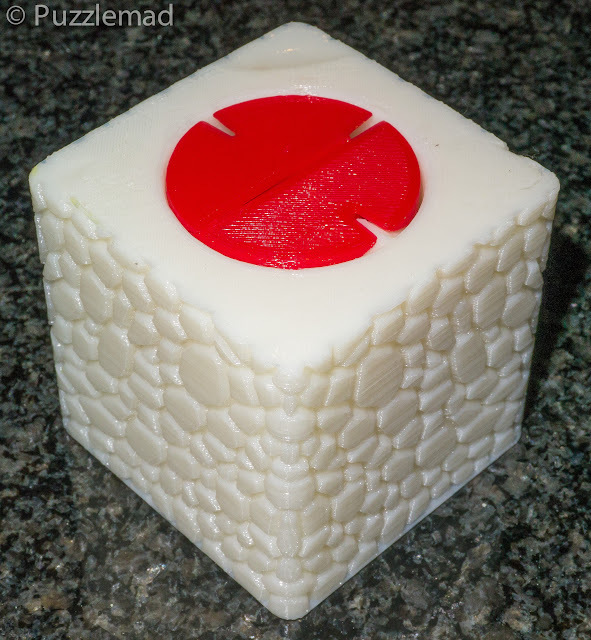 The latest of Derek's designs and made by Steve is a helical burr that has 540º of rotation. 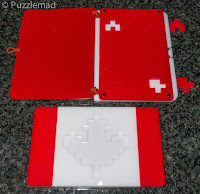 It looks amazing and unfortunately Steve is selling them in the disassembled state! He wants me to tell him whether they are easy enough to be sent as an assembly puzzle! Does he not realise that I am not terribly bright? I suspect this will stay in pieces for quite some time! Just because my friend Ali manages to assemble all of them, does not mean that us mere mortals can do it too! 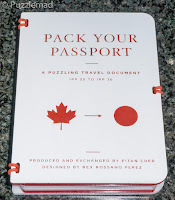 It's a beautiful packing puzzle! 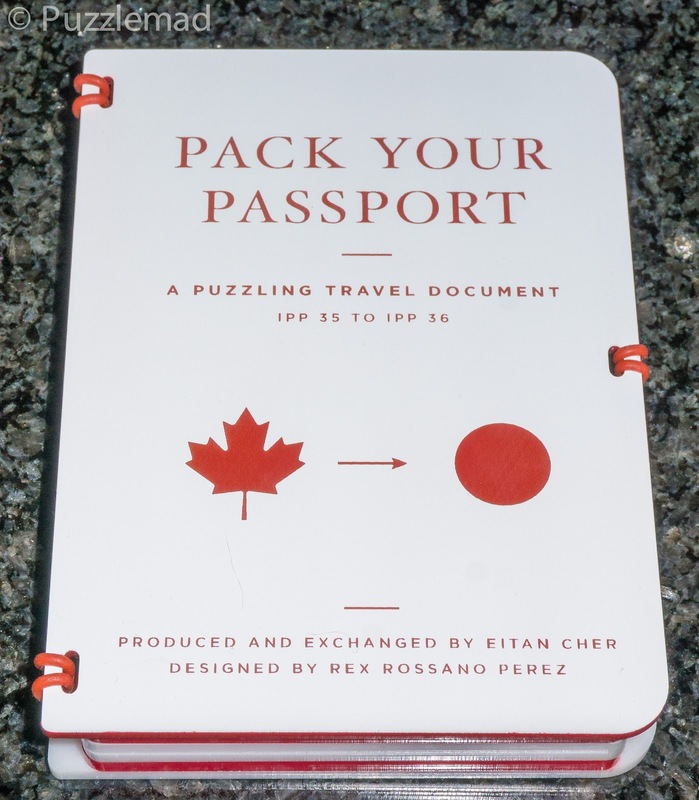 Steve brought back the Pack Your Passport puzzle from Eitan Cher (Designed by Rex Rossano Perez), a packing puzzle that is just beautifully presented as a passport with 2 pages of packing to be done. I'll never manage it but it will be fun to torture colleagues with.